Bezos’ first communication to The Post’’s employees elaborated clearly where the priority lies – the customer. How often do we get to hear about an individual’s decency as a deciding factor in world of mergers & acquisitions? In the case of Jeff Bezos, it seems quite often. As seen in earlier cases earlier (like when Zappos was acquired by Amazon), values finds multiple mentions in Bezos’ communication. 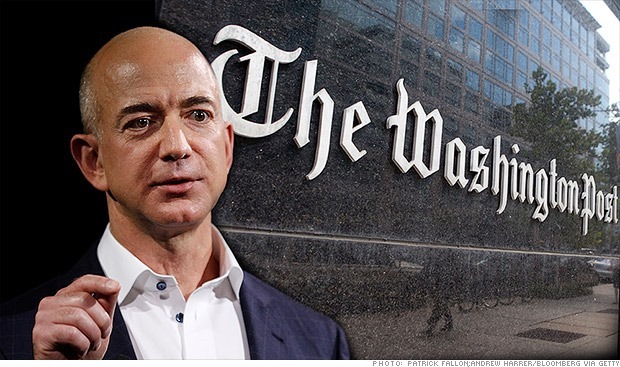 It will indeed be interesting to see how Bezos will try & innovate The Post out of its financial misery. What kind of innovations will we get to see in the world of news publishing? After the medium, is it now the turn of the content to play a role in Bezos’ & Amazon’s vision? In his post FastCompany | 7 Timeless Ways To Improve Customer Satisfaction, author Drew Neisser filters out the following success factors for customer (satisfaction or experience – call it what you may) initiatives based on Suddenlink’s success. In a struggling economy & in an industry with a questionable reputation for bad customer experiences, Suddenlink has shown improvements in multiple industry measures – $ terms & otherwise. Want to know why the Kindle is more differentiated? What does Jeff Bezos think about his competition? What does the “world’s most customer centric company” mean to Amazon? Do you think Walmart has a chance against Amazon? Watch Jeff Bezos discuss all the above & more with Charlie Rose in this interview.